An important “first step.” That’s how many state leaders characterized last year’s 15-bill package targeting California’s housing crisis, with its first-ever, permanent source of funding for housing, its streamlined regulatory processes for certain types of projects, and its stronger enforcement of state housing goals. The question now is what that step will actually look like. While the Legislature has moved on to a new set of potential housing policy reforms, the state agency charged with implementing much of the 2017 legislation, the Department of Housing & Community Development, is beginning the less glamorous—but no less important—task of turning last year’s bills into the actual grant programs, regulatory guidelines, technical assistance, and accountability systems that will be needed to achieve the package’s stated goal: producing more housing. In February, California Forward and the California Economic Summit hosted a series of “listening sessions” to assist the Department with this critical implementation challenge, bringing together a group of housing experts and stakeholders to discuss how to maximize the number—and affordability—of units produced by the package’s funding, streamlining, and enforcement provisions. Today, CA Fwd and the Summit released a summary of the ideas discussed in these sessions—from how to craft the criteria for new SB 2 planning grants to how the Department should hold communities accountable for approving more housing. The report also includes a set of recommendations from CA Fwd highlighting key opportunities for advancing these concepts. 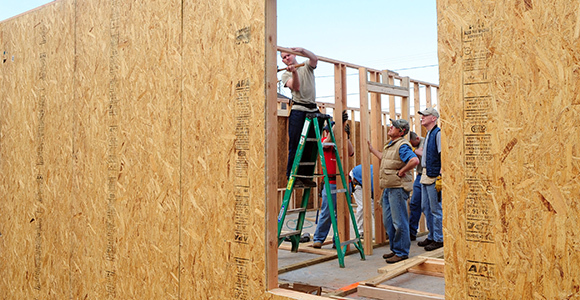 Connect new funding and streamlining to promote the local planning, accelerated approvals, housing construction, and affordability California needs. Provide a continuum of education, technical assistance, incentives, and, eventually, enforcement to ensure local governments have the resources they need to take on the housing crisis—and the Department has the capacity to effectively enforce state housing laws. As the Department begins its next implementation steps—developing new grant criteria and regulatory guidelines—CA Fwd encouraged HCD to consider several additional ways it could widen its impact, including partnering with regional Councils of Government to expand the reach of its technical assistance efforts and making a forceful, strategic push toward developing the statewide housing database California needs to meet its housing goals. CA Fwd also encouraged the Department to continue exploring ways the state can bring down the cost of development—and provide fiscal incentives to jurisdictions approving housing, especially to pay for related local infrastructure. Call it a first step. Call it the next step. Implementation may not be glamorous, but it may offer one of the best opportunities this year for impacting California’s housing crisis. Click here to read the full CA Fwd report on its February listening sessions.